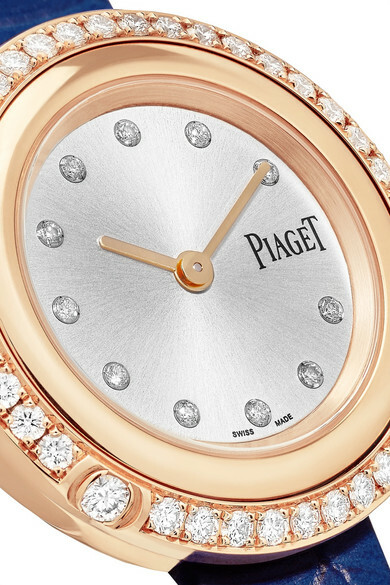 There's no style investment quite like a fine watch because you're guaranteed to cherish and wear it for the rest of your life. 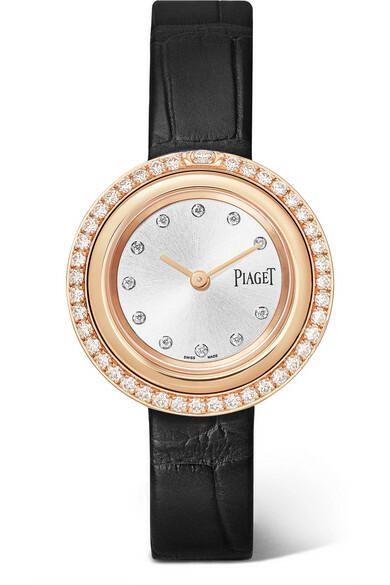 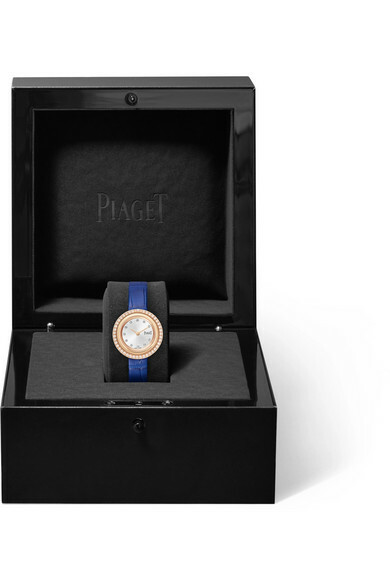 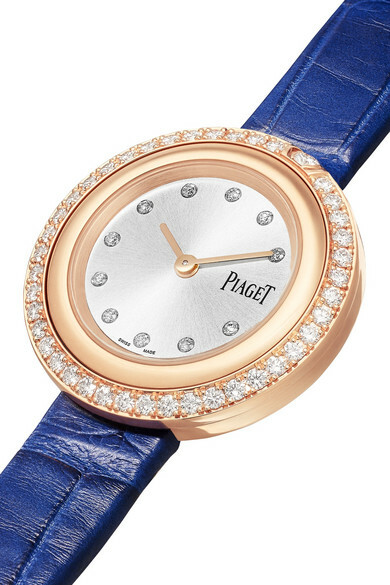 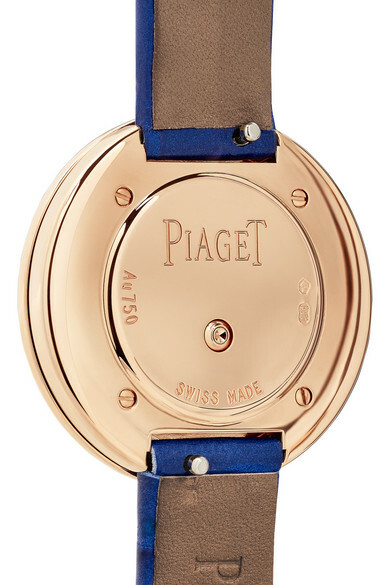 Piaget's 'Possession' design has been made in Switzerland from 18-karat rose gold and features a silvered dial and round bezel that's beautifully encrusted with 1.04-carats of diamonds - "the ultimate symbol of love," says the jewelers. 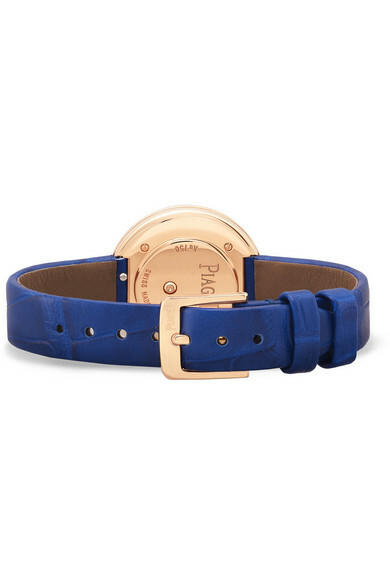 It comes with two self-interchangeable alligator straps in lapis-blue and black. 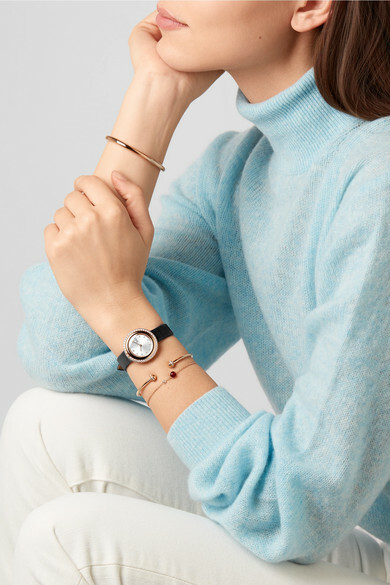 Shown here with: Khaite Sweater, Goldsign Jeans, Piaget Bracelet, Piaget Bracelet, Piaget Bracelet.